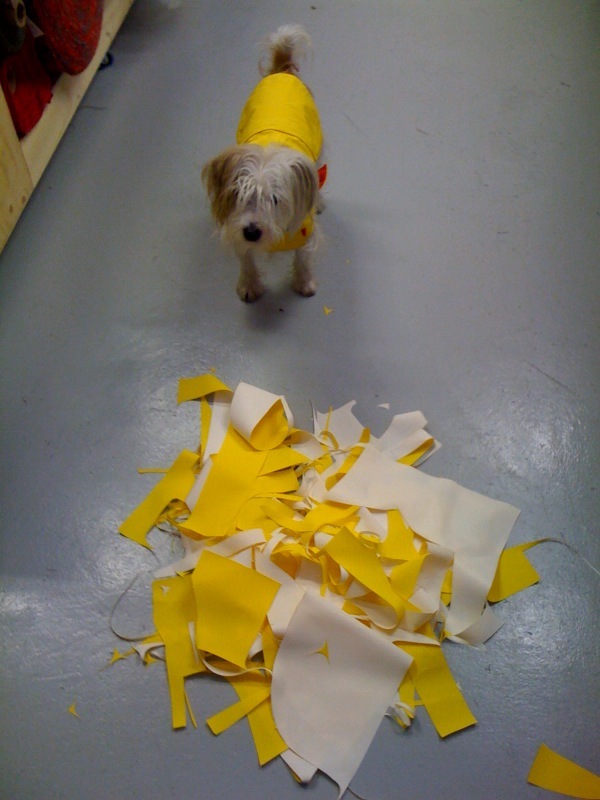 Our yellow Fisherman’s Mac Raincoat from the Spring 2009 Collection is suddenly super popular. We’ve had to make up some extras here in the studio for all the orders that have been flooding in. Chloe, one of the assistant designers here has been cutting them out – look at all that wastage. Lilly was oohing and ah-ing over the colours and patterns it makes – but that’s because she sees everything as a designer. I just want to jump in and play! Give your dog the same look as Rabbit, just go online and treat them to a new designer dog raincoat and keep them warm, dry and snug.